Jeff didn't know. He said it almost ended his relationship with Cindy right there: "Cindy was so upset saying, 'How could you not know where your sister is? How do you not know how she's doing?'" Jeff and Cindy's relationship grew, and they got married. 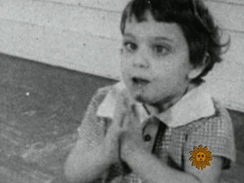 But it would take another 10 years before the mystery of Molly's disappearance began to unravel. 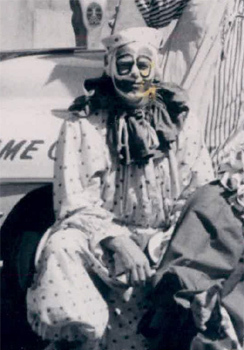 Jeff's father - an executive at the Bumblebee Seafood Company - founded a troupe called the Astoria Clowns in 1957, the very year Molly was sent away. The troupe traveled around Oregon, marching in parades and entertaining children wherever they went. For Jeff, finding his sister has done much more than solve a mystery... according to his wife Cindy, he's changed immensely. "He has, as one person said it, 'filled a hole in his soul.' And it really did."